This Site collects various non-personally identifiable information from you in the course of your navigation of the Site, such as the URL of the site you just came from, the browser version you use, your Internet Protocol (IP) address, IP ports, date/time, size of data transferred, pages you visit, etc.. Acrobiosystems also uses "cookies" to enhance your site visit. A cookie is information either temporarily or permanently stored in a file on your computer. You can set your browser to reject cookies, but that may limit your use of some convenience features at this Site. Acrobiosystems uses information collected by clickstream data collection and cookies to store your preferences, improve web site navigation, make personalized features and other services available to you, compile and analyze aggregate statistics and trends, and otherwise help administer and improve the Site. Where you provide registration information, cookies can also be used to identify you when you log onto the Site or portions of the Site. Except as otherwise stated, Acrobiosystems may use information it collects from you and others to respond to your request, improve the content, services, and products that Acrobiosystems provides, customize this Site to your preferences, communicate information to you (where you have not expressed a preference otherwise), for our marketing and research analysis, and for other purposes identified to you. Acrobiosystems reserves the right to make full use of information that is not in personally identifiable form. 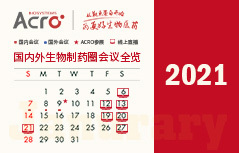 From time to time, Acrobiosystems uses contact information obtained via this Site to send E-mail and postal mail supplying customers with the most recent product and service information. 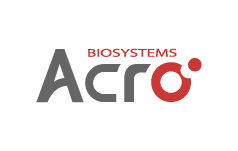 If you order products or services via our Site, Acrobiosystems may contact you by e-mail to send you information about your order (e.g., order confirmations, shipment notifications, etc.). 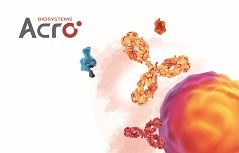 Acrobiosystems may also contact Site visitors via e-mail regarding their account status and about changes to any relevant agreements or policies. Your information is stored on servers located in the United States. We and our agents who help us with hosting and security use a number of procedural and technical safeguards to protect your personal information against loss. However, "perfect security" does not exist on the Internet. Because no system is 100% secure or error-free despite taking commercially reasonable steps. Acrobiosystems and its affiliates do not guarantee the 100% security, that information you provide shall remain private under all circumstances. It is your responsibility to safeguard any passwords, ID numbers, or other special access features associated with your use of the Site. Informing us that you no longer wish to receive such communications. We will comply with such requests unless such communications from us are required by law or contract or do not require your consent under applicable laws. If you opt out of certain communications, you may not be able to access certain of our products or services. If you would like to opt-out of receiving communications from affiliates or other third parties with whom we shared data in accordance with this policy, please contact such third parties directly. You may at any time request access to a summary of your personal information held by us, and request corrections or updates to that information. We will make reasonable efforts to respond promptly to such requests for information in accordance with local laws. Our response to such requests may be limited to information under our direct control. Please notify us of any changes in your name, address, title, telephone number or e-mail address. You can correct your personally identifiable information yourself by accessing your online profile, or by contacting us to request changes. You may ask to have the information on your account deleted or removed; however, because we keep track of certain transaction information, such as past purchases, and other similar information, for legal compliance purposes, we may not be able to delete certain information. If information we hold appears to be inaccurate we will block its use until the position is verified to our satisfaction. This Site contains links to the web sites of other organizations. Acrobiosystems is not responsible for the privacy practices or the content of other web sites, and unless otherwise specified, does not imply any relationship, sponsorship, or affiliation between Acrobiosystems and these linked sites, or adoption or approval of the content of such sites. Since we do not control these web sites, we encourage you to review the privacy policies posted on those, and all, third party web sites. We do not collect personal information from children under the age of 18.